Cheesy Scalloped Potatoes with Cream of Mushroom Soup is a easy and quick recipe that is loaded with flavor! 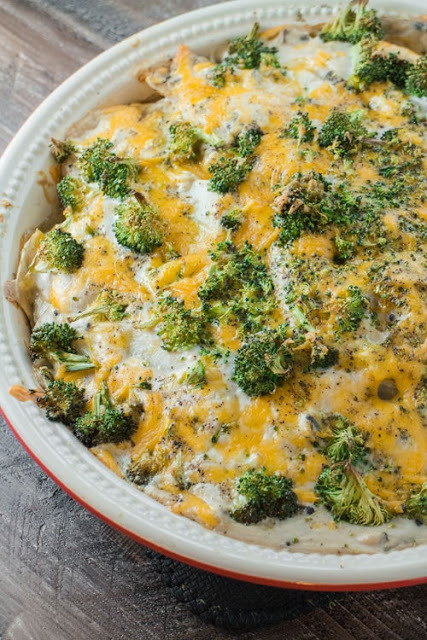 My family declares this homemade cheesy dish the best casserole I make! Warm up to this baked classic meal sometime soon! I hope you like this recipe and it helps you create a yummy side dish during the holidays! Mix your milk and Cream of Mushroom soup into a bowl. Put half of your potatoes into a large casserole dish. Put half of your cream of mushroom / milk mixture on top. Make sure to spread it around so it covers the potatoes. Add one tablespoon of your cut up butter on top. Add half of your broccoli on top. Add half of your shredded cheese on top. Repeat one more time with all ingredients. Bake for 1 hour, 15 minutes. 0 Response to "Cheesy Scalloped Potatoes with Cream of Mushroom Soup"